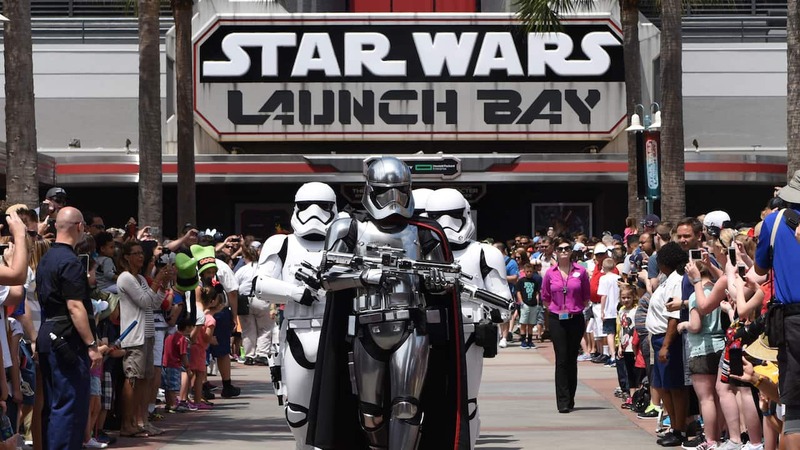 Disney fans, today is your lucky day! 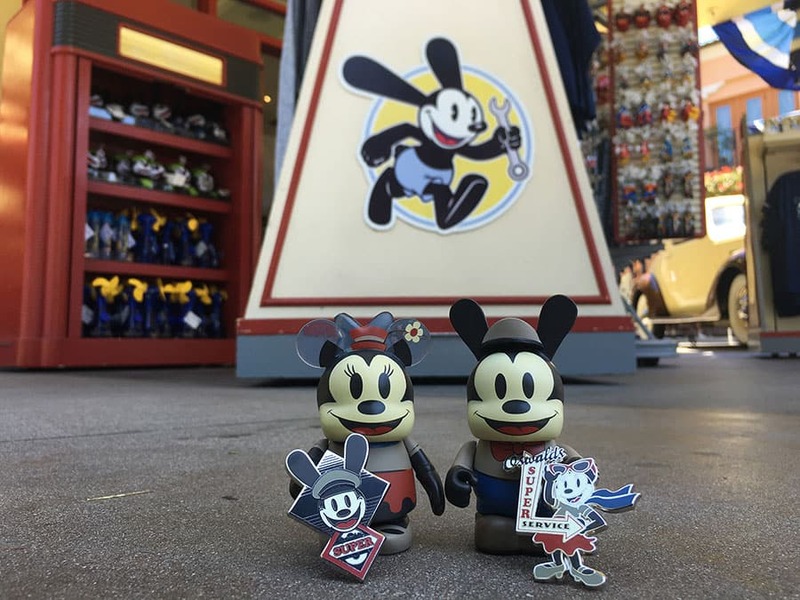 A brand new collection of Oswald the Lucky Rabbit-themed merchandise has debuted at Disney California Adventure park. The vintage style Oswald artwork is appearing on adult and youth tees, a bowling shirt, fleece and track jacket, as well as a backpack, mug, toothpick holder, key chain, magnet, tin sign and open edition pin. Keep in mind you will find some items in store now and others debuting throughout the summer months. Debuting alongside this new collection are a few pieces inspired by Ortensia, Oswald’s cute feline companion, who first appeared in 1927 animated short “The Banker Daughter” and more recently in the “Epic Mickey” video games. Ortensia is making her debut on several new items including ladies and youth fashion tees and an open edition pin. She’ll also be appearing soon as part of a limited edition Vinylmation Oswald and Ortensia Eachez set, which will be available beginning in late August. Finally, it won’t surprise you that I’ve picked this item as a soon-to-be favorite among Disney fans. The Ortensia headband is the purr-fect fit for summer time! Find all of these items and more on Buena Vista Street at Disney California Adventure park! Which item are you most excited about from these new collections? 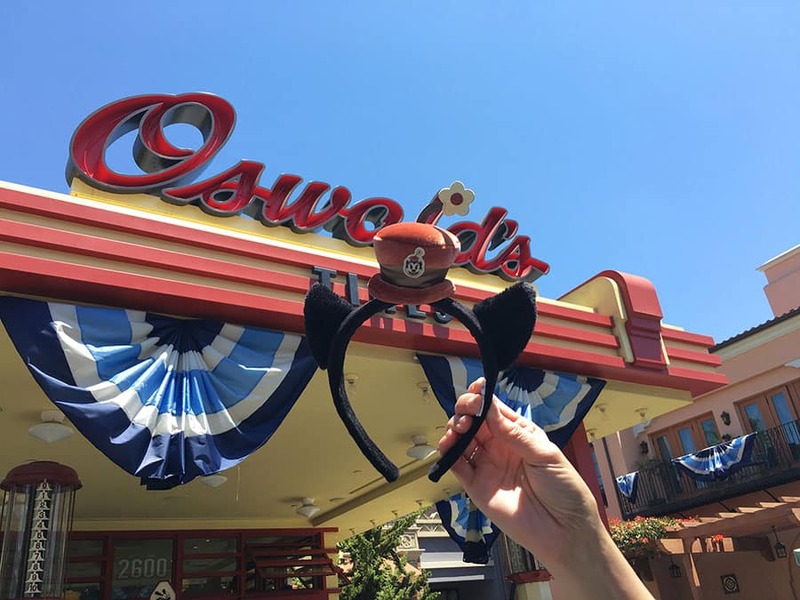 Thank you for using Oswald and Ortensia in the parks more and more! 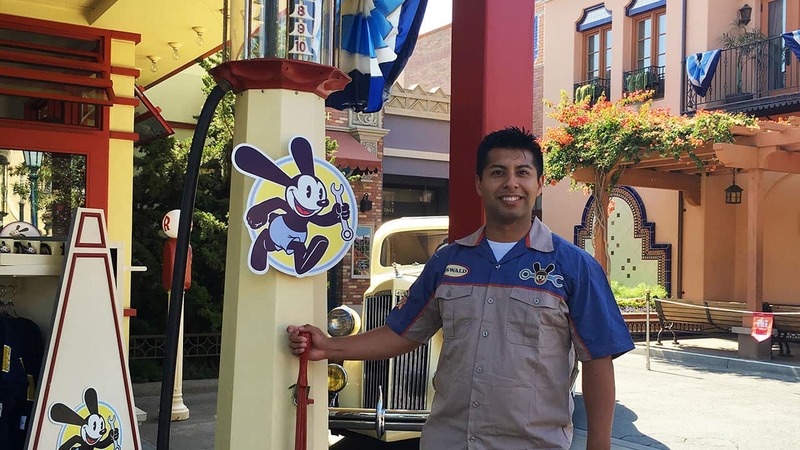 Hopefully we’ll get to see Oswald and Ortensia greeting guests together on Buena Vista Street one day! Hope that merchandise will be here in Disney World too. Awesome! It’s great to see more Oswald merchandise. It’s very cool to include Ortensia too. Oh my, this is funny! Ortensia is my mom’s name, and she has disliked her name all her life. Maybe this will give her a change of heart….doubt it. Lol. I love these. We love Oswald and Ortensia. I hope the items will be available in Walt Disney World or on line. I’m hoping Oswald and Ortensia will be greeting visitors in Walt Disney World too. That would be incredible! I’m going off the norm for my question. 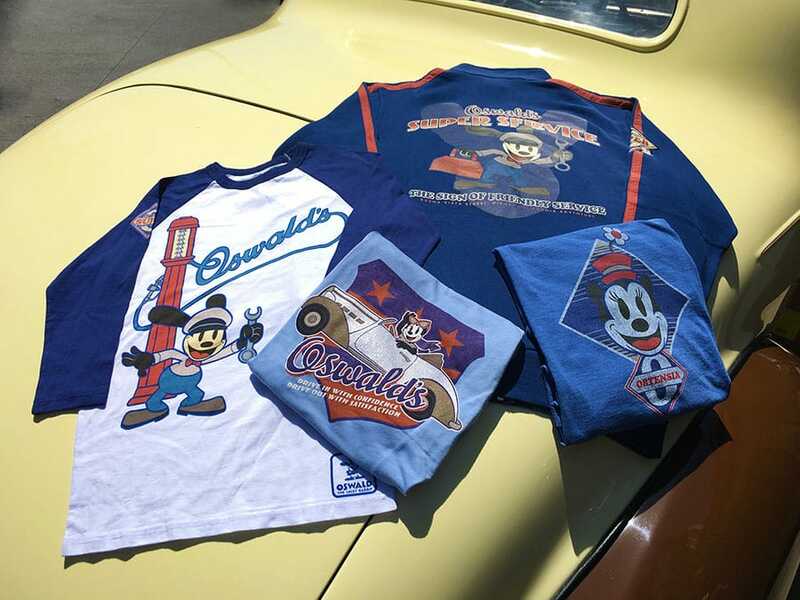 With what Oswald’s merch shows him wearing, will he finally get his own Buena Vista Street themed outfit that looks like what he has on the merch so that way he doesn’t look so out of place with Mickey and the others? Isn’t California Adventure the park itself going to receive a new art program soon? I thought I remembered seeing that in a recent merchandise event (D23???) Do you have a date for that release? Any chance Disneyland-specific merchandise will be added to the Shop Disney Parks App? Love it! Will these be available online or at WDW at all? My husband LOVES Oswald, but we’re on the East Coast. Is there any chance we will get a knitted Ortensia plush to match the Oswald one? I have the mini plushes already but my bigger plush looks awfully lonely.